As we are aware of the importance to prepare the visitors for the journey and in order to make their holiday most enjoyable, we provide as much information possible about the destination to be discovered prior to arrival. Our aim is not only to provide what others give, but to go beyond this by offering the best quality service and an excellent diversity with regards to whatever the destination. We are PT. Asia Paradise Adventure Tours & Travel, better known as APA TOURS (APA = WHAT) an established tour operator which is backed up by fully trained and experienced staff ready to serve you the best manner and make all above possible. 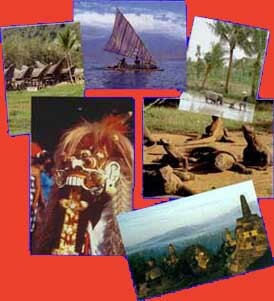 Just contact us, and APA TOURS WILL CO-ORDINATE ALL YOUR REQUIREMENTS for Bali and Beyond.